Raising children is expensive, particularly on one income. For parents who are divorced or unmarried, it is not uncommon to have to struggle to meet all of your child’s basic needs, as well as their educational, social, and medical expenses. In order to keep the peace in potentially contentious situations or to avoid having to go to court, parents often make informal child support arrangements, where one of the parties agree to make payments on a weekly, bi-weekly, or monthly basis. While this may seem like a good idea at the time, it could end up hurting you and your child in the long run. 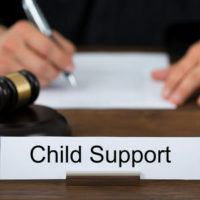 The following outlines factors the court considers in awarding child support in Florida, as well as five reasons to get a court order rather than relying on a mutual agreement. Government benefits, such as disability and workers’ compensation. A specific dollar amount is attached to each income level, generally 25 percent for one child and up to 50 percent for three or more children. These amounts can be increased as needed, depending on the child’s age, individual needs, their standard of living, and the financial status and ability of the parent. Even if the other parent is not currently working, the court can assign an amount based on their qualifications. Ensures you get the total amount your child is entitled to in support. Helps to encourage prompt, steady monthly payments. Enables you to request changes to the amount of support you receive as needed. Allows you to track and recoup any past due amount owed. Provides legal enforcement if the other parent fails to make payments. With a child support order in place, you can request income withholding if payments are not made, and the court may even seize bank accounts or other assets. Your support order can still be enforced if the parent moves to another state, and any amounts they owe will continue to accrue until payment is made. If you have concerns about child support or questions about how to get a child support order, contact the Vanessa L. Prieto Law Offices, LLC today. We provide the professional legal representation you need to ensure your rights are protected, and can advise you on the steps you need to take to get your child the support they deserve.